Petting zoos are fun, but they can also be kind of sketchy. Is that rabbit being attacked by too many five-year-olds? Is that goat depressed? It's awkward. 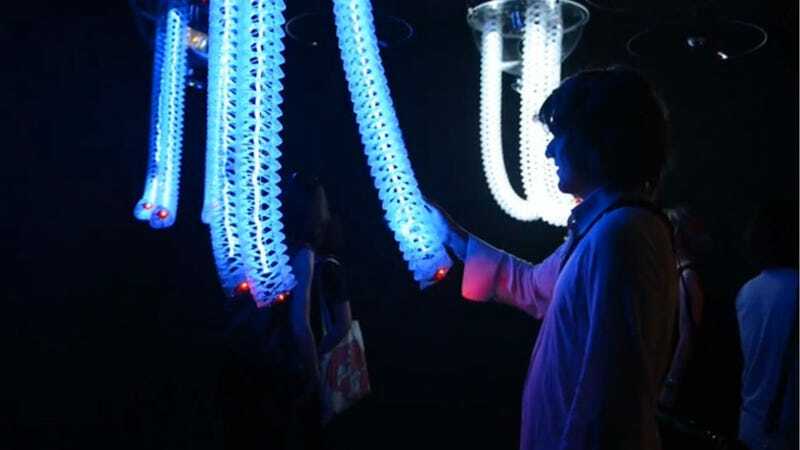 But if the tactile experience were coming from robots and AI you might really be able to enjoy yourself. Conveniently the London-based architecture and design studio Minimaforms, known for taking on experimental projects, created "Petting Zoo" populated by robots. These electronic creatures learn and exhibit different behaviors based on their interactions with people. Minimaforms used Kinects for tracking and awareness, and the robots use multiple camera streams to identify people's positions and gestures as they move through the "Petting Zoo" space.